From Funko. The DC Universe is thriving on The CW, now Arrow enters into exciting new directions. For fans looking to display their love of the franchise on their chosen shelf or desk, Funko's got you covered with a new set of Dorbz. 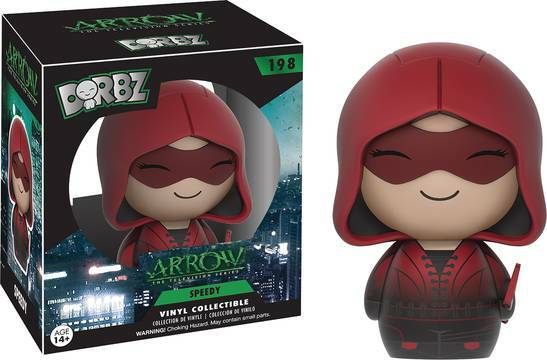 The Arrow line features a hooded Green Arrow (with bow) and a hooded Speedy (with bow)..